The Mainstream GreenHome, an idea home geared to show builders and homeowners that green ideas can be compatible with traditional design and mainstream builder and buyer expectations for aesthetics, comfort, and convenience, is expected to be net-zero-energy, producing more energy than it consumes. The home uses 50 percent less fossil fuel than a conventional home and features an innovative combination of systems that maximize the use of solar energy. Cherokee, a global private equity firm investing capital and expertise in the sustainable redevelopment of brownfields and under-utilized property, managed the construction of the home as a learning tool for itself and builders. The home will be a unique resource to Cherokee, which hopes to green its entire redevelopment process – from ground remediation to sustainable neighborhood design and construction. Cherokee Senior Director, Jonathan Philips, who oversaw the Mainstream GreenHome project, was on hand to receive the EVHA honor. The evening’s awards brought together industry and government, highlighting the significance of sustainable housing in both arenas. Bob Jones, Vice President/Secretary of the National Association of Home Builders (NAHB) and John Mizroch, Principal Deputy Assistant Secretary for Energy Efficiency and Renewable Energy for the U.S. Department of Energy (DOE) were co-keynotes for the ceremony. The EVHA honor is one of many recent accolades for the Mainstream GreenHome. It received one of the best scores in ENERGY STAR’s Home Efficiency Rating System, is certified as the highest rated green residence in the history of the state’s North Carolina Healthy Built Homes program and won the first ever Gold Award by the Green Home Builders of the Triangle. The home is also the first in the nation known to be built in a typical subdivision under National Association of Homebuilders (NAHB) Model Green Home Building Guidelines. 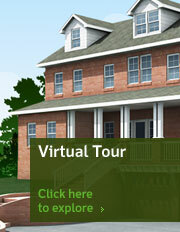 For more information about project features for the Mainstream GreenHome, please visit www.mainstreamgreenhome.com. Cherokee is the leading private equity firm investing capital and expertise in brownfield redevelopment. For more than two decades, Cherokee’s executive team has produced strong financial returns while delivering positive environmental and social results. Cherokee has invested in more than 525 properties worldwide. The firm has more than $2 billion under management and is currently investing its fourth fund. The company has evolved its leadership role in the reclamation of brownfields by applying expertise, creativity and resolve to the sustainable redevelopment of properties after remediation.